The provision of green spaces is becoming increasingly important for people’s health and well-being. A wealth of greenery also promotes safety and livability while adding charm to a city, village or municipality. ‘Greenery’ in this context refers to all the various green spaces that can be used to bring a place to life: gardens, civic parks, wooded areas, nature preserves, theme or recreation parks and the outskirts of town. Not only are urban green spaces a necessary response to climate change, they also answer a growing demand for making our cities literally and figuratively green. Key aspects in this regard include saving time and money, gaining and applying knowledge and the ease of realization. 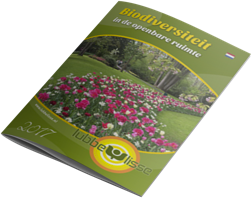 Lubbe & Sons knows that green surroundings are vital in an urbanized world filled with concrete, buildings, paving stones and asphalt. This is why Lubbe & Sons supplies flower bulbs and plant material for the creation of green spaces, in order to make the urban environment greener and blooming with colour. Based on the company’s vast experience and expertise in the area of green spaces, Lubbe & Sons strives to achieve an optimum result in terms of growth and flowering.